Many people prefer whole wheat pasta as a healthier alternative to white pasta, but regardless of dietary reasons, there's space for both at my table. I love white pasta and while I do sometimes choose whole wheat as a substitute when I'm trying to eat better, it offers a point of difference that I can't deny. 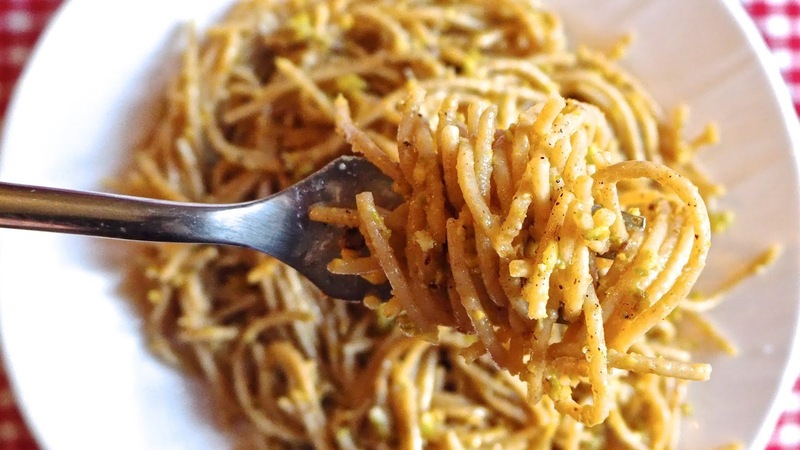 Whole wheat pasta has more of a bite to it and distinct taste of its own. I wanted to create a recipe that wasn't just a way to substitute whole wheat pasta for white pasta, but something entirely its own and even a bit indulgent. This dish is buttery and cheesy in a way that probably wouldn't pass for most people who are on a diet, but it's the nutty crunch combined with the stodgy pasta that I love most. This recipe is delicious, but a bit heavy and would be best served in modest portions as a meal alongside something like green beans, however I also love this as a starter. Little mounds of this gorgeous, green-tinted pasta are perfect for whetting the appetite before a main course. 1. Boil a pot of salted water with a drop of oil and cook the pasta according to the package instructions, checking it 2 minutes or so before it's supposed to be done to get the desired tenderness. When you strain the pasta, be sure to reserve a cup of the cooking liquid to use in the sauce later. 2. 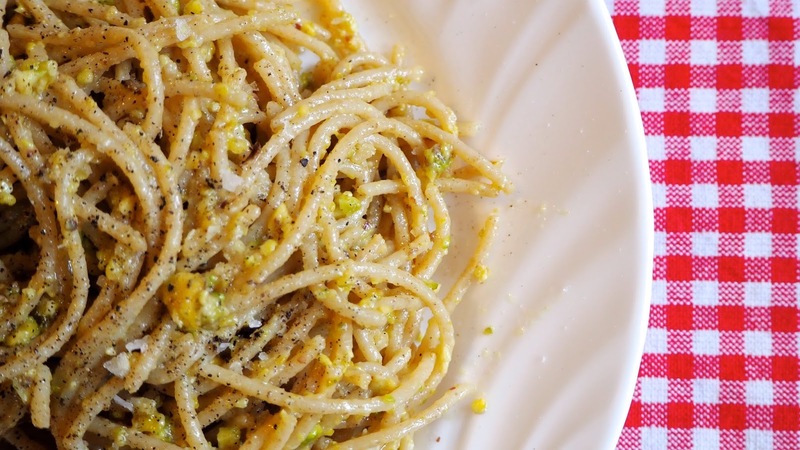 In a food processor, combine the pistachios, garlic, parmesan cheese, a small slosh of extra virgin olive oil and butter until combined, forming a green, buttery paste. You may find it necessary to scrape the sides of the food processor bowl a few times before blitzing again until you get the desired texture as the buttery mixture may stick to the sides. 4. Add the strained pasta to the sauce pan, still on the heat and pour in the remaining pasta cooking water. 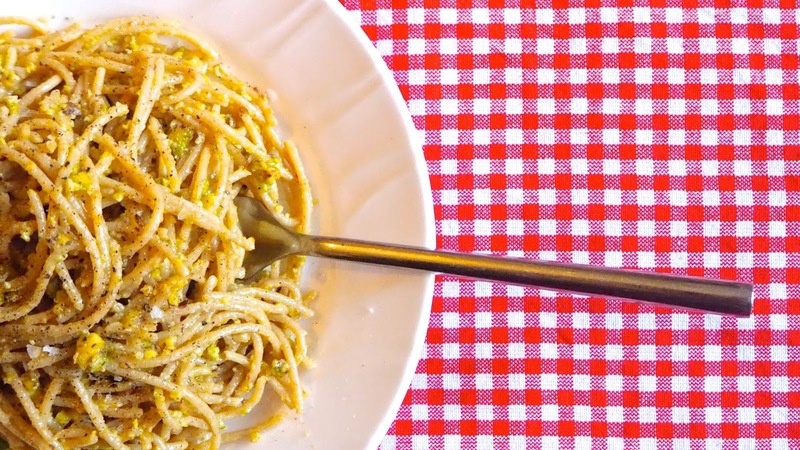 I find it's easiest to toss the pasta with two forks, but you can do this however you like. Work the pasta through the dense sauce while still on the heat until every strand is coated. 5. Serve hot in warmed pasta bowls sprinkled with freshly grated black pepper and sea salt flakes.